A Harare man who allegedly robbed a Chinese national of $11 300 in Belgravia, Harare, before fleeing from the scene after a fierce exchange of gunfire appeared in court yesterday. The shooting caught innocent passers-by, Kevin Guzah and his friend Kudzai Nduku, in the crossfire, resulting in two Chinese men and a Zimbabwean appearing in court also yesterday for firing at them. For the robbery, Thomson Runyowa appeared before Harare magistrate Ms Rumbidzai Mugwagwa facing charges of robbing the Chinese national. 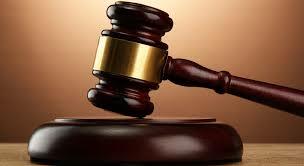 He was remanded to March 8 and advised to approach the High Court for bail. Allegations are that on February 19, Runyowa and his accomplices robbed the Chinese man, Jiang Long, of 31 Lincoln Road in Belgravia. They had information that Jiang was on his way from Chipinge where he had gone to collect money from one of his shops in the eastern border town. They were driving a Toyota Wish and intercepted Jiang in Rusape where they robbed him of $8 300 before driving him to his residence in Belgravia where they robbed him of a further $3 000. Jianglong Security guards, who were alerted of the incident, approached his house and opened fire, forcing the alleged robbers to flee the scene, leaving their getaway car. Further investigations led to Runyowa’s arrest. During the shooting incident, it happened that Guzah and Nduku were passing by when they heard gunshots and decided to make a U-turn. Gamuchirai Nigel Zuze (23), noticed them and gave chase, before allegdely shooting at them. The three appeared before Harare magistrate Ms Rumbidzai Mugwagwa yesteray facing attempted murder charges for allegedly injuring Guzah and Nduku. They were remanded in custody to March 8 and advised to seek bail at the High Court. Prosecutor Mr Sebastian Mutizirwa alleged that Guzah was driving a Toyota Vitz in the company of Nduku along Lincoln Road in Belgravia. As they approached No. 17 Lincoln Road, they heard gunshots from a house. In fear of their lives, they made an about-turn and drove towards Zuva Service Station at Belgravia. It is alleged that Luo, Li and Zuze, who are part of a reaction team at Jinglong Security, had earlier received an alert from their client that he had been robbed by people driving a Toyota Wish. They came out of the house where the shooting was taking place and chased after the Toyota Vitz driven by Guzah. Guzah lost control of his vehicle and crashed into one of the fuel pumps at Zuva Service Station. The trio, who were giving the chase, jumped out of their cars, approached Guzah’s car and shot Nduku in the pelvis and assaulted her. Guzah got out of his car and fled, but fell into a trench. One of the accomplices came and shot him in the pelvis while he was still in the trench.